To Dodge Diabetes, Go Light On The Hot Dogs And Bacon : Shots - Health News In a study, diabetes risk doubled for people who ate a lot of processed meats, such as hot dogs, deli meat and bacon, which tend to be high in salt and nitrites. Those meat preservatives have been shown to play a role in increasing insulin resistance. Meat preservatives like nitrites and sodium have been linked to insulin resistance, which might explain the link between Type 2 diabetes and high consumption of these meats, researchers say. Let's begin with some well-worn advice: Moderation is key. So go ahead and eat that hot dog at the state fair or some bacon on vacation. But take note: People who eat lots of processed meats over their lifetime seem to have a higher risk of developing Type 2 diabetes (and heart disease). How much higher? A study by researchers at the Harvard School of Public Health analyzed food questionnaire responses from more than 400,000 participants. They found that people who ate the most red meat — on average a daily serving of 100 grams, about the size of deck of cards — were 20 percent more likely to develop Type 2 diabetes compared to those who ate the least amount of meat. Even after adjusting for other risk factors such as weight and lifestyle, the finding held up. The risk of diabetes doubled for people who ate a lot of processed meats, such as hot dogs, deli meat and bacon, which tend to be high in salt and nitrites. But the authors found that replacing a daily serving of red meat with alternative sources of protein — such as low fat dairy, nuts or whole grains — reduced the risk of Type 2 diabetes also by about 20 percent. Their results are published online today in the American Journal of Clinical Nutrition. But the meat industry isn't so sure about the link between meat and diabetes. "The total body of research reflects the fact that we simply don't have any metabolic studies implicating meat consumption and an increased risk of Type 2 diabetes," said James Hodges, president of the American Meat Institute Foundation, in a statement. Hodges points out that the study found no increased risk for people who ate small to moderate amounts of meat. And — to this point — other studies analyzing the health effects of red meat consumption have found similar conclusions. Hodges also argues that recent studies have shown that meat satisfies hunger longer than carbohydrate-rich foods. And many dieticians agree that protein-rich diets can help facilitate weight loss as long as calories are limited. The Harvard researchers who published the study say it's not completely clear how red meat may make people more vulnerable to Type-2 diabetes. "The findings are not explained by weight gain or obesity," says Frank Hu, a professor of nutrition and epidemiology at Harvard and a senior author of the study. He says higher iron consumption may play a role. 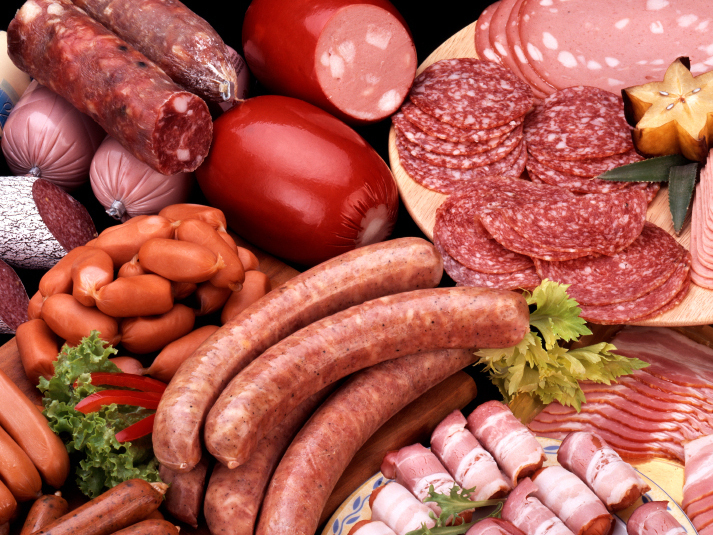 Also, sodium and nitrites have also been shown to play a role in increasing insulin resistance. "These effects are pretty interesting and suggest that red meat has an independent effect on developing Type 2 diabetes." But Hu concedes that he's not advocating a ban on hot dogs. "We just shouldn't be putting red meat at the center of our plates everyday," he says.